Giving Birth Is Hard Enough. Now Try It in the Middle of a Wildfire. Nicole and Ben Veum had been waiting and waiting for their baby to arrive. Nicole’s due date came and went. 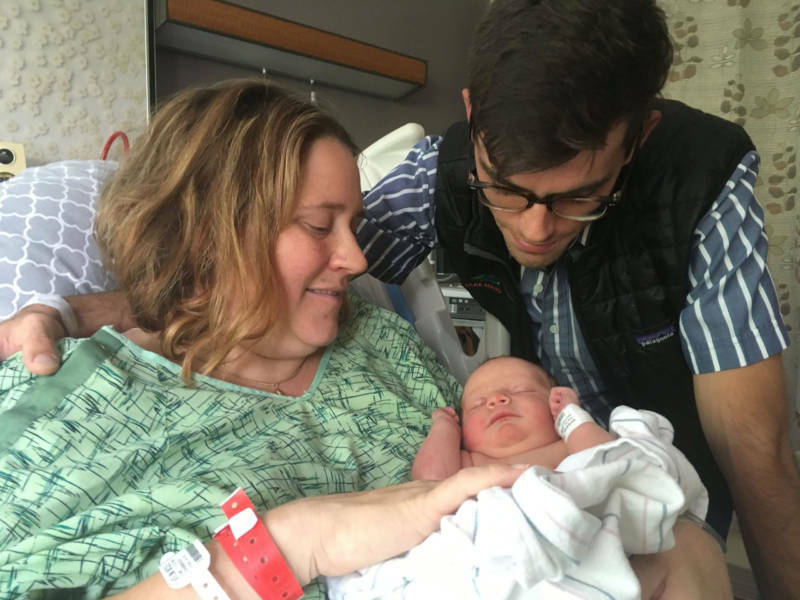 Her doctor called her into the hospital -- Sutter Santa Rosa Regional Hospital -- to induce labor. That was Friday. They tried three different ways of inducing labor. Then, on the third day, with the third attempt, it started working. Her contractions were coming strong, every four to five minutes. They just turned on Pavarotti when the hospital power went out. The generators came on. And the smoke outside the building started to creep inside. The nurses said the buildings around the hospital were on fire and they had to evacuate everyone. Eighty patients from Sutter and another 130 patients from Kaiser were transferred to other hospitals in the area on Monday, including Santa Rosa Memorial and Kaiser San Rafael. 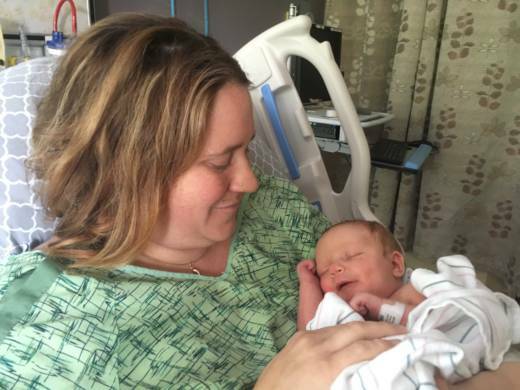 Nicole Veum had just received an epidural when the evacuation orders came through. The staff gave Nicole medication to stop her contractions. Then, Nicole had to wait again. For an ambulance. It was hours before dawn, and Nicole lay on a gurney by the docking bay, feeling paralyzed, in a line of would-be evacuees. There were so many patients that needed to be transported, and by the time her turn came, she had to share the ride with another woman in labor and a third with a newborn in her arms. That left no room for her husband. Ben waited for the bus, and was soon reunited with Nicole at Santa Rosa Memorial. But by that point, her labor was again at a stand still. They gave it another 12 hours, then agreed to a C-section. Monday evening, Nicole gave birth to a healthy baby boy, named Adrian Veum. Their friends had some suggestions for a middle name. “They wanted us to call him Adrian Fuego Veum, or Blaze Veum,” she said. But Nicole is a big Los Angeles baseball fan, and she and Ben decided to stick with their original name plan: Adrian Dodger Veum.